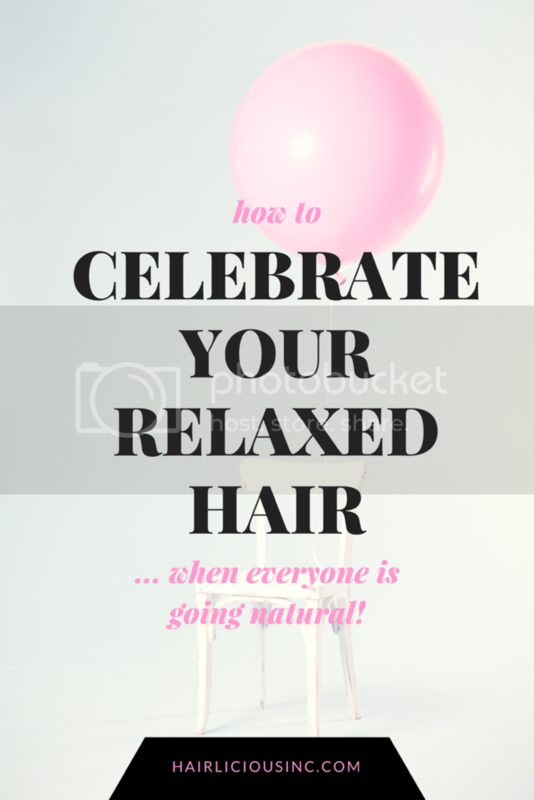 October 2016 - Hairlicious Inc.
Let's face it, knowing your hair type (i.e. 3c, 4a, 4b, etc.) is great as it allows you to discover your hair texture, curl pattern, density etc. However, discovering your Hair Porosity level is imperative to getting the most out of your hair journey. 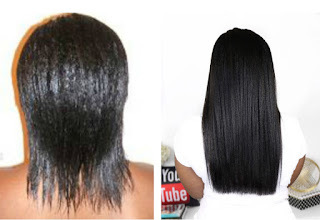 Hair porosity is a simple concept yet very powerful in revealing certain characteristic about your hair. 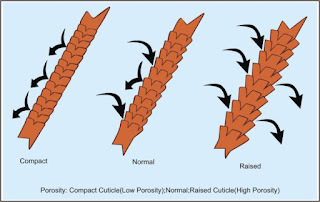 Learning what porosity level you have, will provide you with direction on how to treat and take care of your hair - effectively! 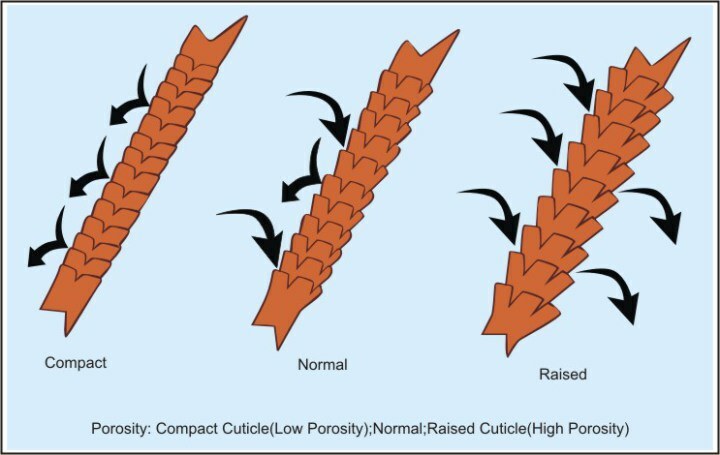 Understanding your hair porosity level can maximize the effectiveness of your hair routine and improve the product and technique selection for your hair. 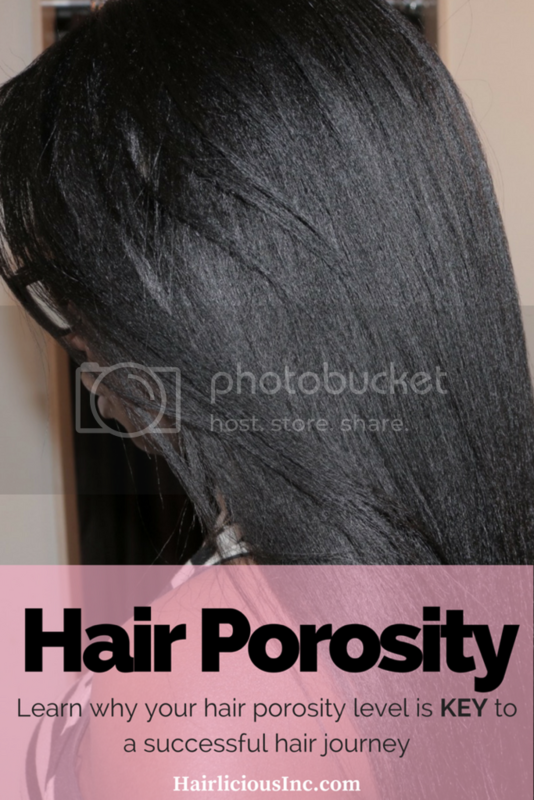 Hair Porosity is your hair's ability to absorb moisture and retain it. It's just that simple! There are three (3) porosity levels to consider: low, normal, high. Hair cuticles lay flat and tight around the cortex making it challenging for moisture to enter and escape the hair cuticle. The cuticle is quite resistant to opening and readily accepting water. Opening the cuticle may be troublesome, but once it's open, it will accept, hold on/ retain moisture for a long period of time. Hair cuticles lay flat yet open and close easily to accept and retain moisture. Hair maintains elasticity. Hair cuticles have holes and damage along the hair shaft allowing moisture to escape through the hair cuticle easily. Moisture retention is low and the hair feels dry and coarse. This is the result of chemically treated hair or heat damage. Now, let's zone in on Low and High porosity as these levels require the most maintenance! Steam frequently - Warm steam vapours help to raise the cuticles and allow the deep conditioner to absorb easily into the hair shaft. Moisturize on damp hair - This allows the cuticles to raise slightly thus giving your moisturizer the chance to penetrate the hair strands. 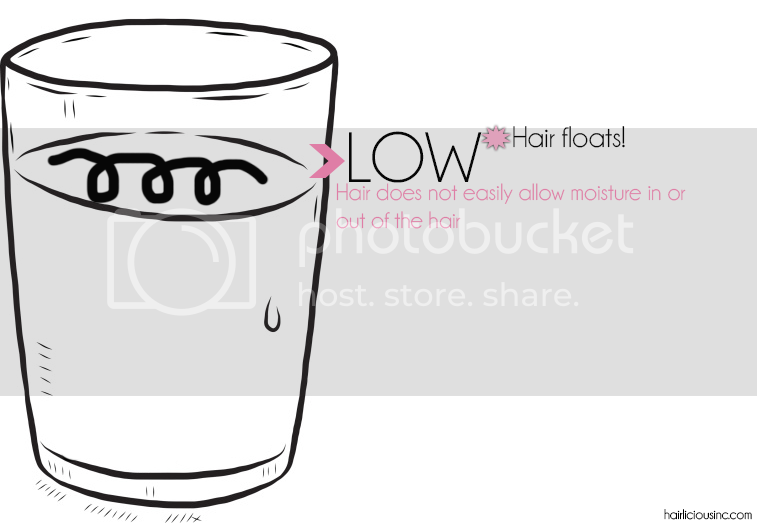 Once the hair receives the moisture, it will hold on to it very well. 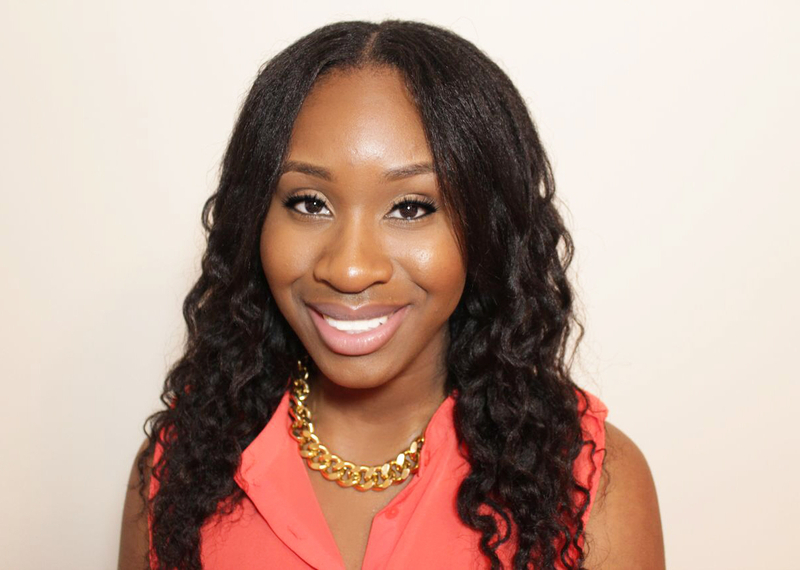 Always use heat when you deep condition - Heat allows the hair cuticles to raise/open. The deep conditioner can then easily penetrate into the hair cortex giving nutrients i.e. moisture, protein etc. to the hair strands. Clarify often - 2-3x/month will help lift the hair cuticles allowing any deep conditioners, leave-ins, moisturizers to penetrate easily. Do an Apple Cider Vinegar Rinse 1x/week after you shampoo or co-wash your hair. Apple Cider Vinegar is known to lower the pH balance in the hair and close the cuticles allowing your hair to hold on to moisture. Use a protein reconstructor weekly or biweekly to fill the cracks along the hair shaft allowing the hair to absorb and retain moisture. Knowing your Hair Porosity level gives you the power to transform your hair into healthier well-moisturized hair. Grab a shed strand of hair. With your fingers, slide up the strand starting from the ends to the scalp - backwards. If your fingers move easily up the strand and it feels dense - you have non porous hair aka low porosity hair. If it feels smooth, you have normal porosity hair. 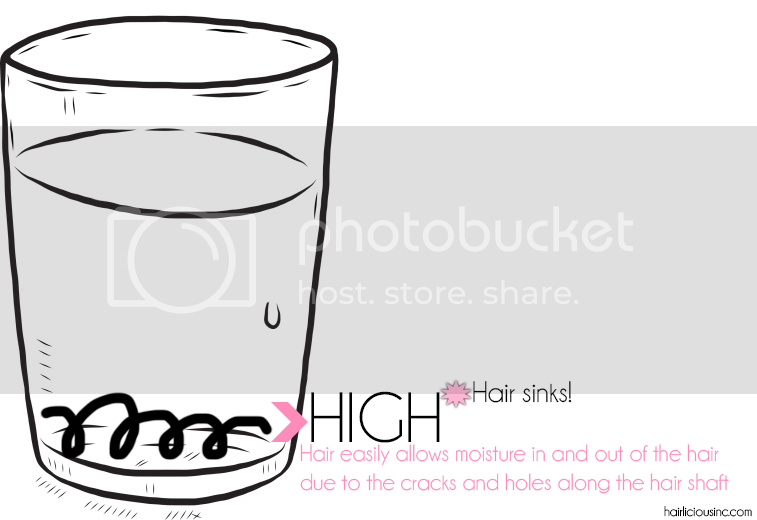 If it feels rough, bumpy or it breaks, you have porous hair aka high porosity hair. 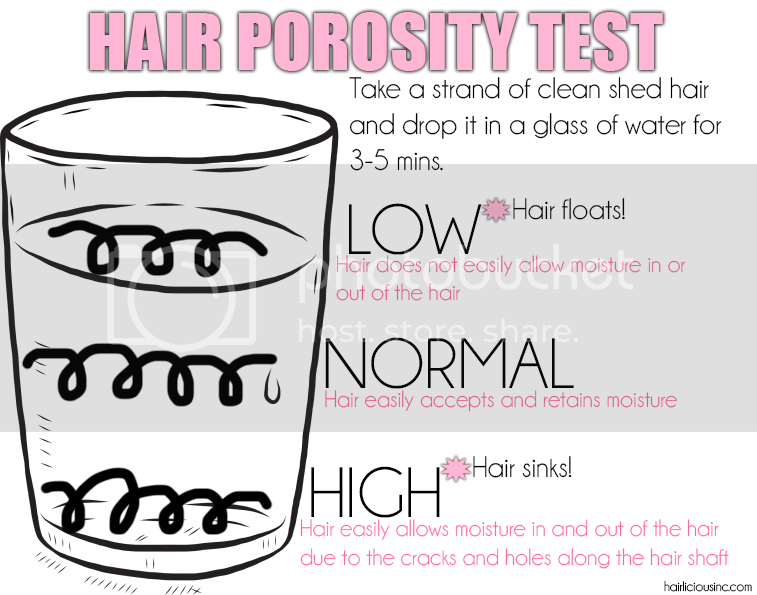 What is your Hair Porosity Level? Having a concrete wash day regimen is imperative to a successful hair journey! Through excessive trial and error over the years, I have managed to find a routine that has worked for my hair allowing me to get to my goal and maintain it. 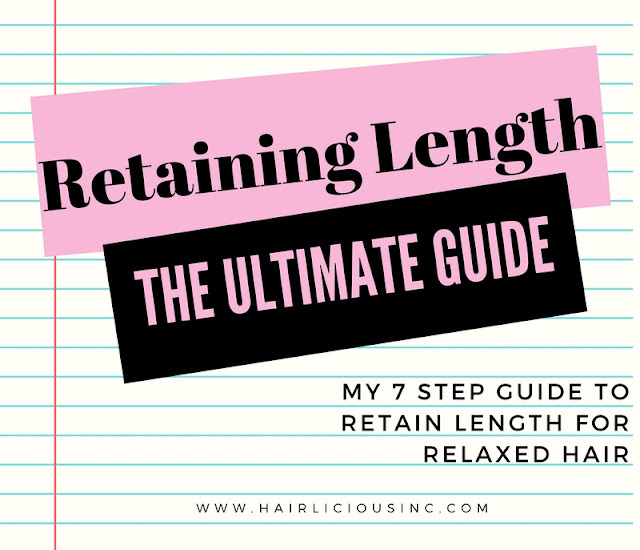 Giving my hair a weekly dose of both moisture and protein has allowed my hair to maintain moisture and strength while decreasing breakage - thus retaining length. Though I have my staple products, I like to switch up my products every now and then, but I always keep the same routine - no matter what. I have updated my regimen as I no longer co-wash on Saturdays. So instead of having 3 wash days, I only have two (Sundays and Thursdays) - max! I find that my hair no longer needs that extra dose of moisture. 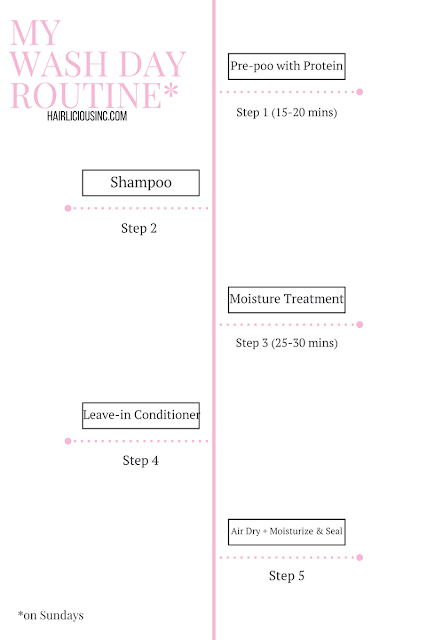 → Deep Condition on dry hair with a moisturizing treatment/oil for 25-30mins. → Moisturize in sections & seal in sections. Bun my hair. I always wanted a strengthening shampoo and this shampoo stood out to me! The acai berry ingredient serves to prevent damage and the keratin amino acids aid in hair repair. The shampoo is an opaque pearlized purple colour and smells like tropical grape fruit juice - no lie! It's so delish the scent does not leave your hair for days :) To be honest, I have never seen purple shampoo before so that alone was fascinating to me lol! I don't need much product for it to lather and it rinses out easily. Though there is a mild sulfate in the Shampoo (Sodium Laureth Sulfate), my hair remained moist and felt durable after rinsing it out. This conditioner can be used as an instant conditioner or as a deep conditioner with heat for 10 mins+. The conditioner is orange in colour yet semi thick in consistency. The conditioner has the exact same tropical scent as the shampoo. It's truly heaven! I've been using it with heat under my steamer for 20-25 mins. The conditioner spreads easily onto my hair - no issues there! So far I find the conditioner softens my new growth and hair pretty well. Unfortunately there's not much slip while rinsing out the conditioner. 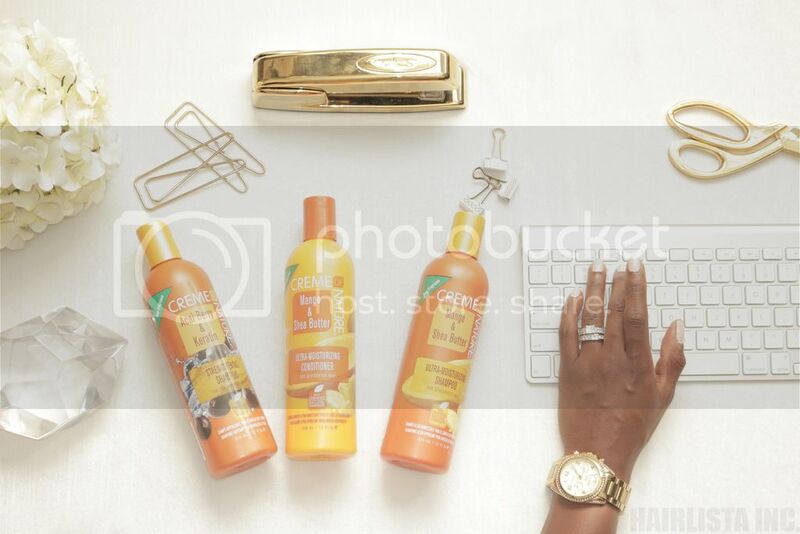 This shampoo states that it is enriched with certified natural mango and shea butter. The mango ingredient serves to condition and protect the hair while the shea butter will moisturize and soften the hair. It also has Olive oil and Shea Oil. The shampoo is an opaque pearlized orange colour plus it smells amazing!! It has a prominent tropical fruity scent that lingers in your hair. It lathers well and rinses out great. Though there is a mild sulfate in the shampoo (Sodium Laureth Sulfate), I find the shampoo is highly moisturizing, slippy and detangling while I rinse it out. It kinda reminds me of the CON Argan Oil Shampoo that I adore. 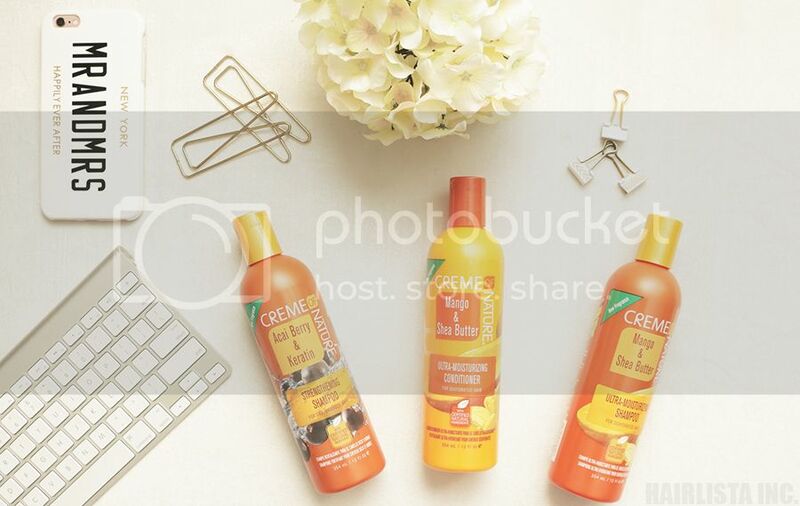 Have you tried any of these new products by Creme of Nature? If so, how does your hair like them? A cationic surfactant with self-emulsifying capabilities. It provides incredible slip and conditioning abilities to the hair. It has the ability to moisturize and condition the hair from the inside out. 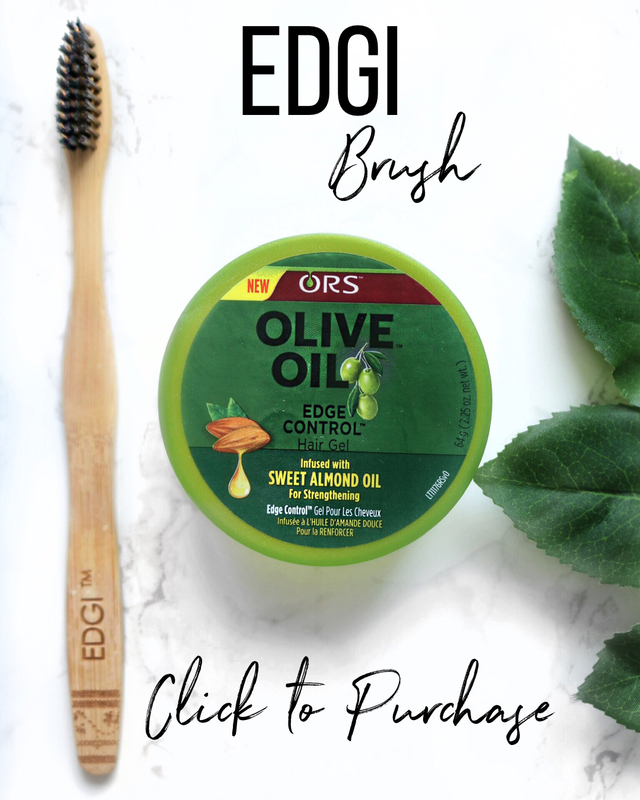 This ingredient imparts great detangling properties to the hair while closing the cuticle, due to its cationic nature. 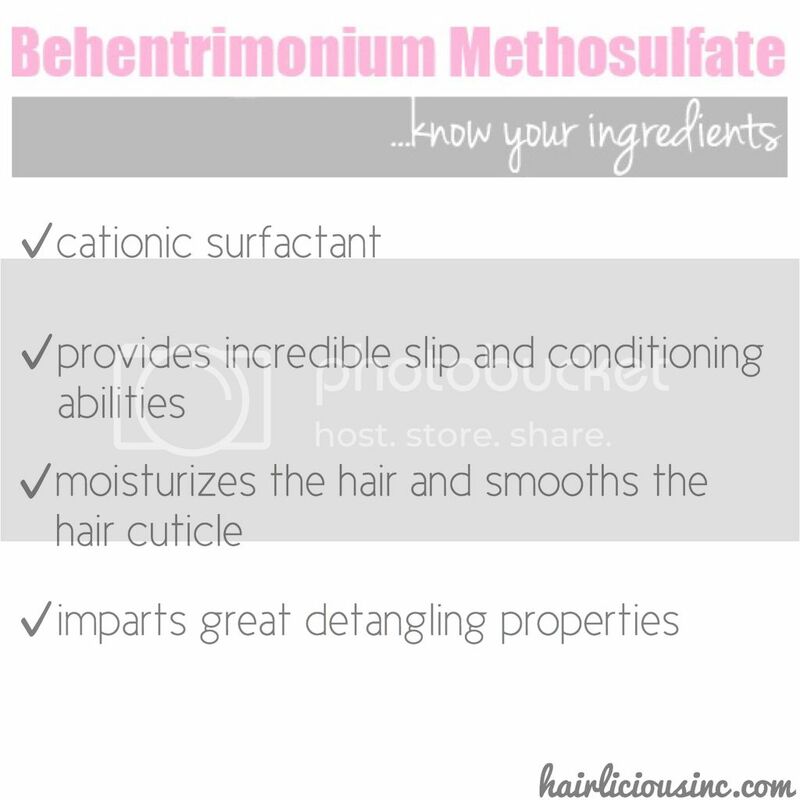 Do you use any products that contain Behentrimonium Methosulfate? If so, how does your hair like it? BMS is one of my personal favourites when it comes to hair product ingredients. 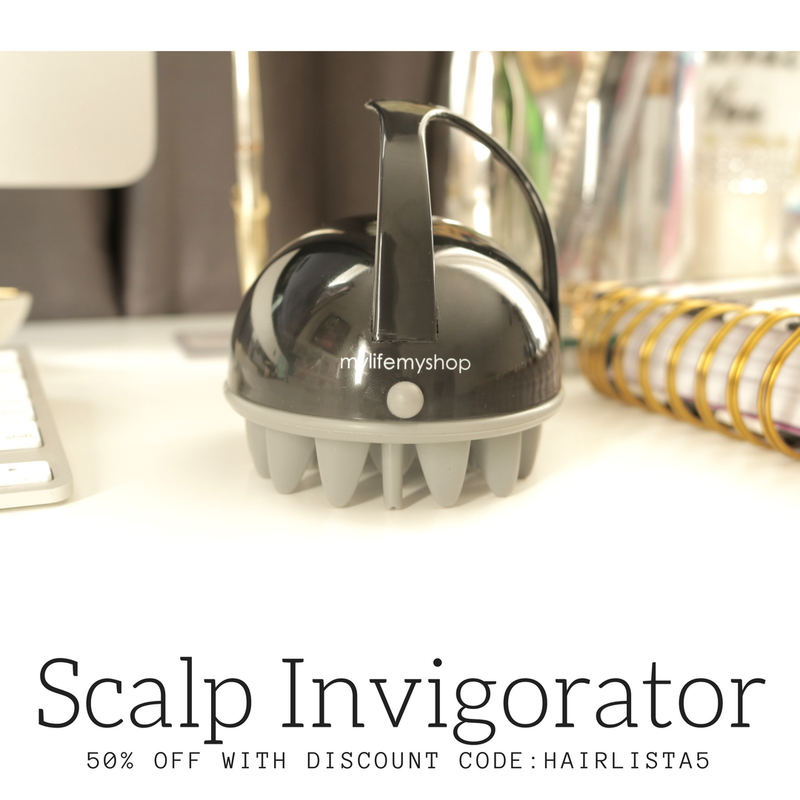 It instantly provides slip and detangles my hair like a dream!